One thousand years ago, in the valley of Kashmir, a great Tantric master named Kshemaraja wrote his masterpiece: the Pratyabhijnahrdayam, which means “The Essence of the Recognition Philosophy”. This text was a concise primer, written to introduce spiritual seekers to the Recognition philosophy in less formally philosophical, more approachable language. What Kshemaraja created turned out to be one of the world’s great spiritual masterpieces, breathtaking in its brevity but stunning in its power. It came to be considered equivalent to scripture itself by later generations, because of its undeniable inspiration. This book expounds the subtleties of this spiritual and philosophical classic. One of the most powerful and revelatory spiritual masterpieces of world history, the Pratyabhijnahrdayam is one of the primary sources for the study and practice of nondual Tantrik Yoga, and it has never been accurately translated or fully explained until now. 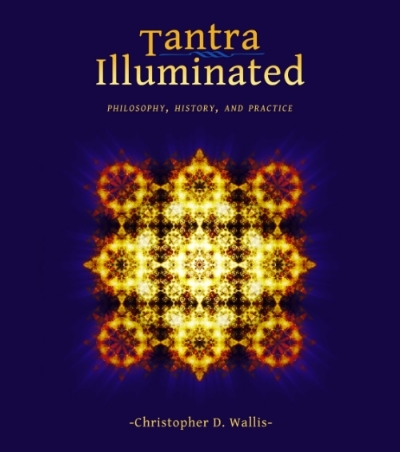 Tantra Illuminated takes the reader on a fascinating journey to the very heart of Tantra: its key teachings, foundational lineages, and transformative practices. Since the West's discovery of Tantra 100 years ago, there has been considerable fascination, speculation, and more than a little misinformation about this spiritual movement. Now, for the first time in the English language, Tantra Illuminated presents an accessible introduction to this sacred tradition that began 1,500 years ago in the far north of India. Translated from primary Sanskrit sources and offering a profound look at spiritual practice, this book reveals Tantra's rich history and powerful teachings. Also available through iTunes in abridged & interactive / non-abridged & non interactive versions.